Tiên Hải is the only island commune in Hà Tiên District, southern province of Kiên Giang. 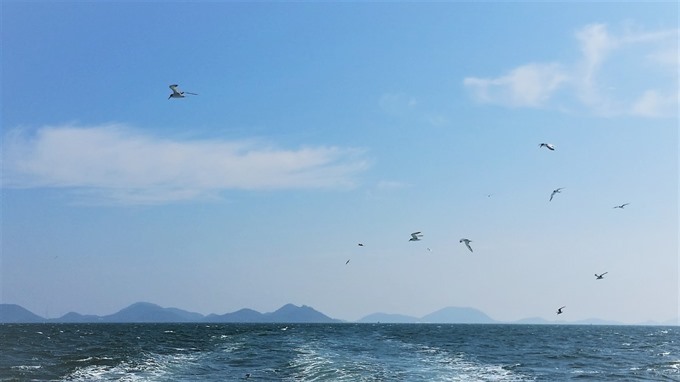 The commune also has another name: Hải Tặc (Pirates) Archipelago. It boasts 16 islands and total area of 283ha. 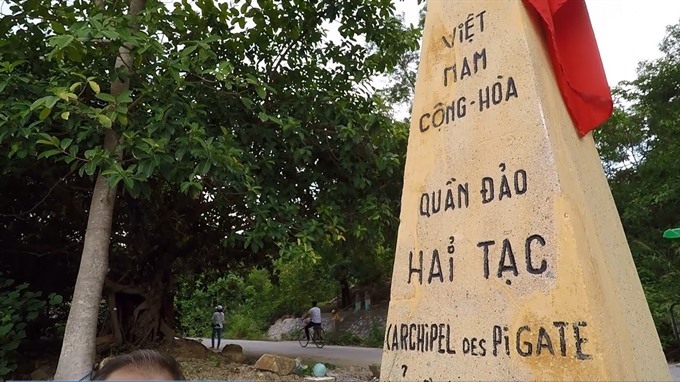 In the past few years, the island commune has developed community tourism models, making contributions to socio-economic development for Hà Tiên District. In December 2017, the Kiên Giang People’s Committee recognised the archipelago as a local tourism site. 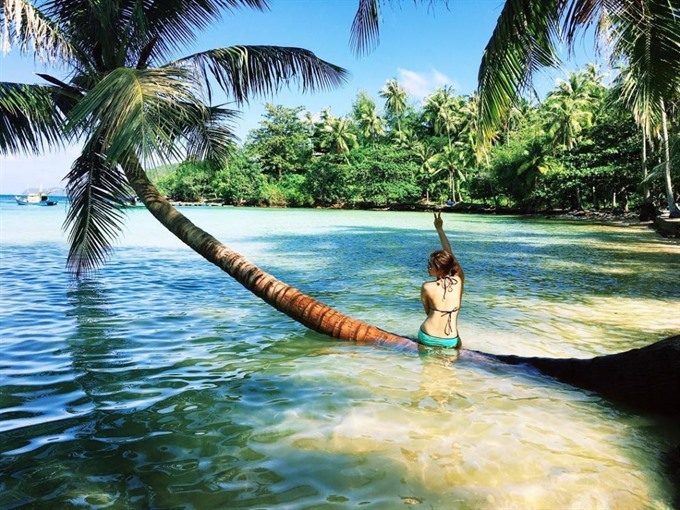 Tourists coming to Hà Tiên District are always curious of Hải Tặc archipelago, a famed place in the southwest sea of the country. According to local historic documents, in 17th century, Mạc Thiên Tích, a leader of the region, many times ordered his troops to fight against local pirates, who lived in the area. The archipelago name Hải Tặc originated from that time. 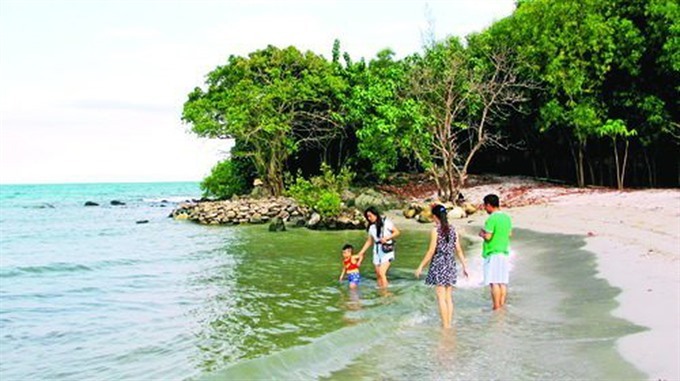 “Besides its mysterious name, Tiên Hải island commune has great potential for developing tourism thanks to its primitive landscapes, fresh and cool atmosphere,” said Tăng Hồng Phước, deputy director of Hà Tiên Town’s Centre for Trade and Tourism Promotion. In order to utilise the tourism potential, in 2014 the local authorities implemented a community tourism project for the period 2014-2020. The commune consists of 16 large and small islands, locating 20km from Hà Tiên Town and 40km from Phú Quốc Island. The commune hosts 500 families with 2,000 people, who live mainly in Hòn Tre Lớn, Hòn Giang, Hòn Đước and Hòn Ụ. The biggest among the islands is Hòn Tre Lớn (also know as Hòn Đốc), which is an administration and socio-economic centre for the Tiên Hải island commune. All people and agencies in the commune are informed about the project and encouraged to join in voluntarily. Hòn Tre Village was chosen as a trial model with 17 families, who meet the requirements, to join the community tourism project. Eleven households among them offer food and accommodation services, four households have acted as guides to take visitors to islands and fishing; and two households keep sea fish for visitors to understand raising local fish. Two companies have been specialised in transporting tourists to and from the mainland. Visitor Nguyễn Thị Hồng Phượng from Rạch Giá City, northern province of Kiên Giang said she spent two vacations in the area. “What I like most when stay at the home of locals in Tiên Hải is that I can live near them, see their routines and imagine as if I were a local,” she said. However, the area is still lack of fresh water and electricity. “By 2020, the national electricity system will reach the islands,” Phước said, “Tourism service will be better”. 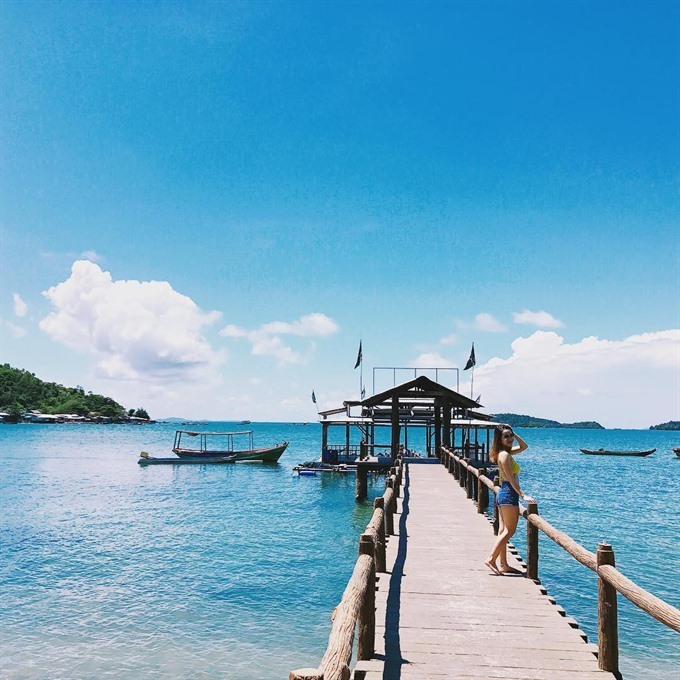 “Its name “Hải Tặc” (Pirates) is scary but actually the islands are beautiful in peace and many romantic beaches with white sand and blue water run long,” Phượng said. Hai Việt, an old resident on Hòn Tre Vinh Island recalled his grandfather’s story on the pirates. “There was once a pirate group named Cánh Buồm Đen (Black Sail) on this island,” he said, “They mostly robbed trading ships passing Hà Tiên – Rạch Giá Bay. “On the pirates’ ship hung a mop, meaning sweeping off all ships passing by. “The gang controlled a big sea area of the Gulf of Thailand. Up to now, there are still rumours of treasure hidden by the pirates somewhere on this archipelago,” he said. 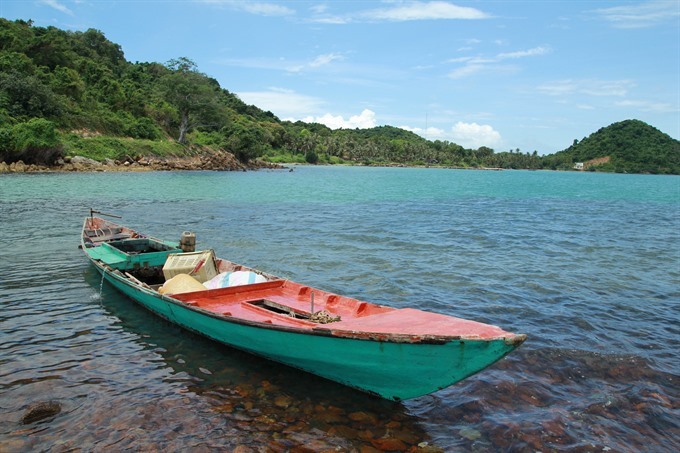 Many locals still believe there is treasure hidden on Hòn Đốc and scattering around the archipelago. The only ancient mark on the island is a pagoda named Sơn Hòa Tự. It is said that once there was a head of a pirate gang named Nguyễn Thanh Vân. Rumours say he was strong, was a brilliant swimmer and could dive as well as an otter, rebellious but at the same time, had a kind heart. Once his gang travelled to Thailand, he fell in love with a beautiful woman and took her to Việt Nam. Since then, he quit the pirate life. They had a daughter called Nguyễn Thị Gái, who was then respected by locals as she built the only pagoda on the islands.